So I run 3 – 4 times each week. This past week on my shorter run, I was studiously trying to avoid being run over by less-than-aware drivers when I stepped into a bad spot in the road. Before I knew it, I rolled my ankle and scraped my hands on the pavement as I went down. Because I was close to traffic and didn’t want to get hit, I immediately got my bearings and took some deep breaths. I was only about a quarter of the way into my run and I wanted to finish so I begin what I can only describe as a “hop-limp” running style as I continued on my way. After about 30 yards I was approaching normal, but running carefully just to be sure. 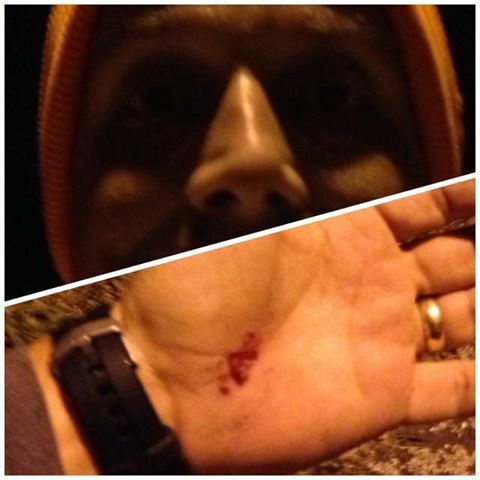 Eventually I was back at my normal pace and finished my run somewhat later than normal and a little scraped up.